Mr. Johnny A. Etheridge age 75, of Evergreen passed away unexpectedly Saturday, June 23, 2018. Mr. Etheridge was employed with UPS for 30 years. He was an avid Alabama Crimson Tide fan. One of his favorite pass times was fishing on the Sepulga River. Survivors include his loving wife, Margie S. Etheridge of Paul; his son and daughter-in-law, Al and Traci Etheridge of Evergreen; his daughter and son-in-law, Barbie and Donnie Griggs of Red Level; his brothers, Willie J. (Patsy) Etheridge of Paul and Andrew Etheridge of Paul; his sisters, Bama Lee Hendrix of Evergreen, and Frances E. (Bobby) Pitts of Evergreen; his grandchildren, Justin (Haley) Griggs, Johnathon (Sommer) Griggs, Alex Etheridge, and Avie Etheridge; and his great-grandchildren, Austin Griggs, Remington Griggs, Rowan Griggs, Rosstin Griggs, and Easton Griggs. Mr. Etheridge was preceded in death by his parents, John J. Etheridge and Roxie Hall Etheridge; his brother, Alvin J. Etheridge, and his sisters, Dorothy Hildreth and Alice Davidson. Funeral services will be held 11:00 A.M. Tuesday June 26, 2018, at Cope Keahey Chapel with Elder Greg Smith officiating. Interment will follow in the Pleasant Grove Church Cemetery with Cope-Keahey Funeral Home directing. Serving as pallbearers, Eddie Booth, Randy Hildreth, Ray Etheridge, Stephen Garrett, Ricky Hildreth, and Zack Gladwell. Honorary pallbearers: Junior Etheridge, Brian Garrett, Jason Garrett, Dewayne Gladwell, and Larry Smith. The family will receive friends from 6 until 8 pm Monday, June 25, 2018 at Cope-Keahey Funeral Home. 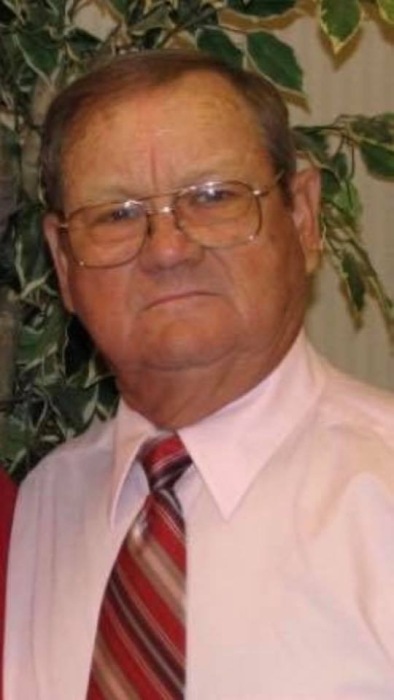 Please join us in remembering Johnny Alfred Etheridge, Sr., by visiting his memorial page at www.copefuneralhome.com. We invite you to share your memories and words of condolence with his family there.